Religion has been a major influence on the development of science over the past two millennia. The Truth about Science and Religion tells the story of their interaction, examining fundamental topics such as the origin of the universe, evolutionary processes, Christian beliefs, the history of science, and what being human really means from both a scientific and a religious perspective. The Truth about Science and Religion aims to help explore personal views on science and religion, offering questions for discussion at the end of each chapter. The book provides the historical and scientific background as well as the philosophical insight needed to think through issues of science and religion and their influence on personal beliefs. Metaphors, comparisons and analogies are used to simplify complex topics such that any reader can engage with the thoughts and questions posed. 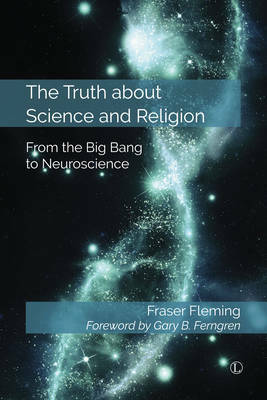 Unlike other books in this field, The Truth about Science and Religion follows a chronological scheme, beginning with the origin of the universe and life itself before discussing matters of the human condition, the life of Jesus, and stories of several great scientists to regain a unified view of science and religion in today's world.